This week I am working on a Quilt for our challenge for Sunshine Guild. 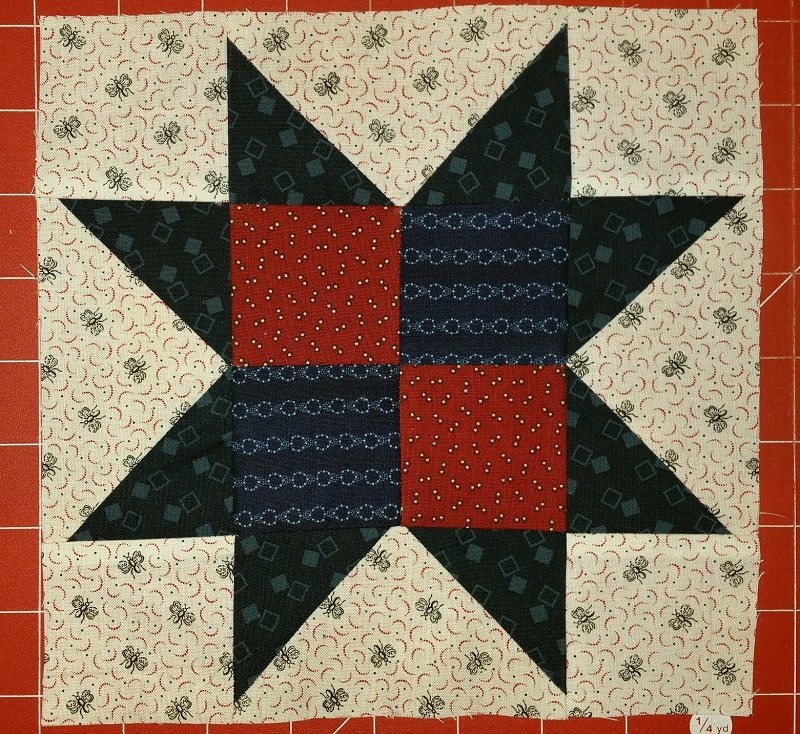 It is due in May and I was not sure if I would participate or not, but the theme is Patriotic, and there is a quilt I have been wanting to make, so I decided to go for it. It will be made entirely from fabrics from my stash, except maybe the backing. I won't be able to reveal until after our meeting in May, but above is one of four start blocks that will be included. 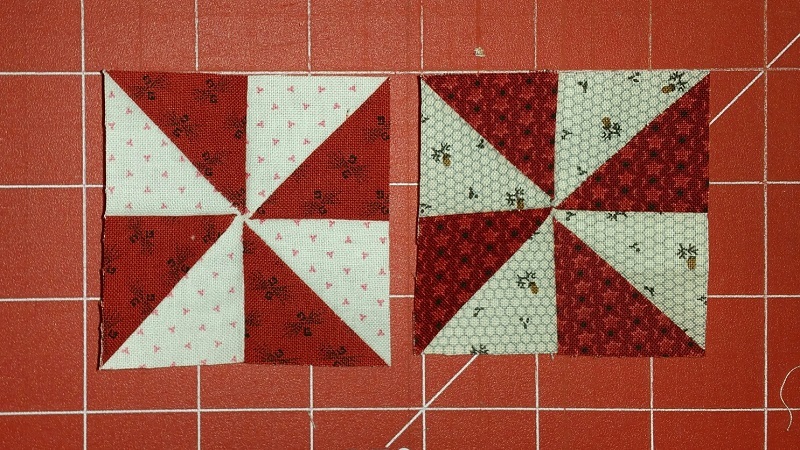 Also in this quilt are 5 of these small pinwheel blocks that finish at 2 inches. Aren't they cute? They were made from the waste triangles from the 60 flying geese blocks that also go in this quilt. foundations for the blocks. Will be a busy week for me! What is on your wall this week? Look at more design walls at Patchwork Times. Looks like you will be busy this month. 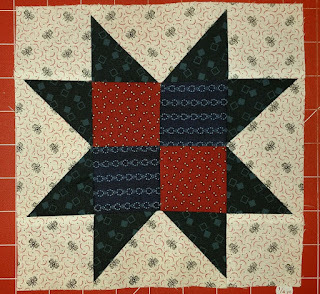 As you know Patriotic quilts are also my favorite, I like your pattern. It is also great that you can make all of the top from your stash. Wishing you luck that you find the time to sew.